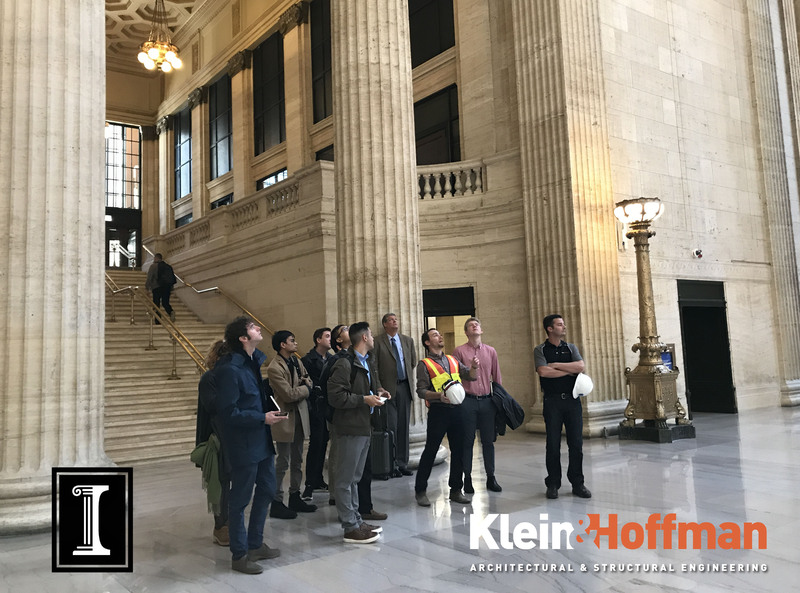 The students from the Illinois School of Architecture’s Chicago Studio [Architecture at Illinois] visited Klein and Hoffman’s office today as part of their ARCH 593 Professional Development Course. Every week, the students and Professor Kevin Hinders visit a different architecture firm in Chicago to learn about each firm’s approach to the building industry. After a presentation in the office in which the students were exposed to numerous case studies involving structural consulting at a Chicago aquarium and the technical aspects of concrete and masonry façade restoration, the students ventured on a site visit to Chicago’s Union Station to see firsthand the various renovation projects currently under construction. View more photos on Facebook.